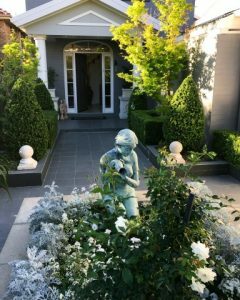 Do you live in Cooranbong NSW and need the services of an experienced gardener? You can now have the benefit of Newcastle’s most experienced gardener to help out with your gardens. Up until now I’ve considered it a bit too far away but I’ve had a change of mind. And that change of mind was brought about by the growing commute traffic into Newcastle. My tranquil location of Edgeworth has become very popular and the amount of houses which has been built here is staggering. Along with that amount of people comes a heck of a lot of cars and Main Rd Edgeworth is now a bit clogged up with traffic at both ends of the day. I’m still happy to work in Newcastle but I’m also happy to go where the fields are green. It’s a no brainer for me. I recently decided to take on a new customer in Cooranbong and I love the fact that I can drive there in a relaxed and calm manner along country roads. It takes me a cruisy 30 minutes and the petrol gauge doesn’t shift very much at all. There’s no traffic lights plus there’s no traffic. But there’s lots of trees. So the end result is I’ve decided to occasionally follow that line of mountains, visible from my house until I arrive at the quiet village of Cooranbong. The great part about that for the residents of Cooranbong is that there’s now a great service available to you which was really hard to find before. If you live there, you may have noticed that a good maintenance gardener is an extremely rare person. And in Cooranbong and other places a bit out of the way, it’s often been difficult to get some services to travel to there. If you go the ‘services’ page on this website, you can see that I do everything that’s needed to keep gardens looking great. Plus, I can create gardens. And some of you folk in Cooranbong have a lot of gardens. When you connect lots of needy gardens with a great gardener, that’s a great combination. 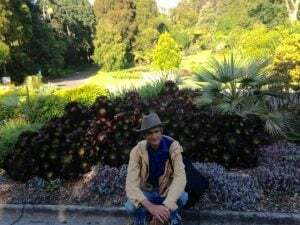 I love being in gardens and I’d be happy to spend time making your Cooranbong gardens look amazing. Give me a call on 0412680398. Or send me an email or a text message. and I’ll talk with you about how HOLTS can help.